DCMTL Blog attended Ford Canada’s Go Small, Live Big panel, hosted by Jean-Benoit Aubé. 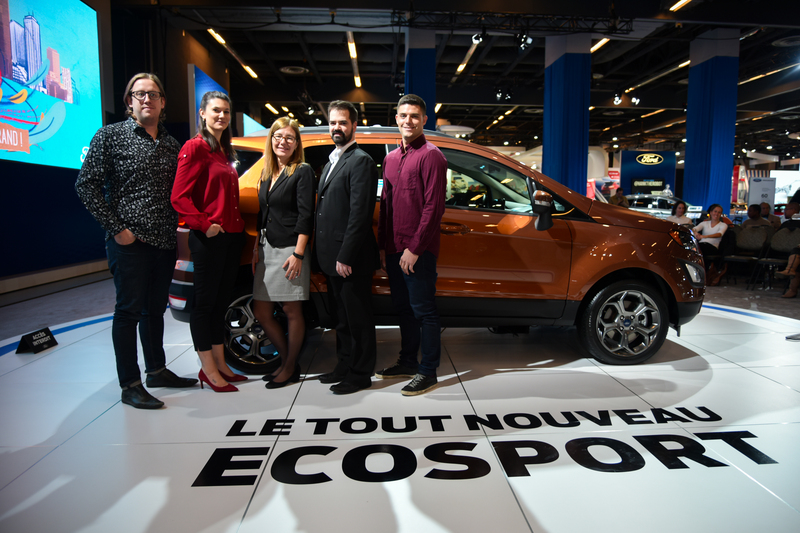 The panel took place as part of the launch of the all-new 2018 EcoSport® – Ford’s latest Fun, Capable and Connected compact SUV, and featured three of Central District most dynamic entrepreneurs Marc-Antoine Bovet, Co-founder of OatBox, Marie-Philip Simard Founder of Chic Marie and Simon St-Germain, Communications and Marketing Director at PixMob. The panel’s theme was inspired by the spirit behind the new EcoSport®: Using the Essentials to Live Big. The notable entrepreneurs participating in the Panel were chosen because they embody the success one can achieve by using only the essentials. During the panel, host Jean-Benoit Aubé, touched on a variety of essential topics regarding each company’s journey in launching their business. Throughout the discussion, panelists were asked to elaborate on their experiences and how they achieved success using only the essentials. OatBox, is an online breakfast delivery system. Marc-Antoine and his team wanted to give consumers a way to eat better and eat healthier, despite their busy lives. Chic Marie, is an online clothing rental company for women. Marie-Philip came up with in order to offer women in the professional field a way of dressing well for less. Finally, PixMob, is a tech wearable tech company specialized in interactive experiential events. 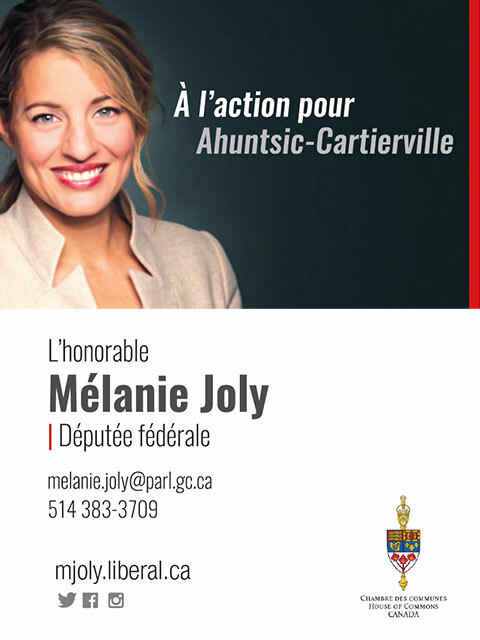 The team has worked on projects such as TEDxMontreal, Taylor Swift’s world Tour and even Super Bowl XLVIII. For Marie-Philip Simard of Chic Marie, the essentials were maintaining a favourably high customer retention rate and low ecological impact. 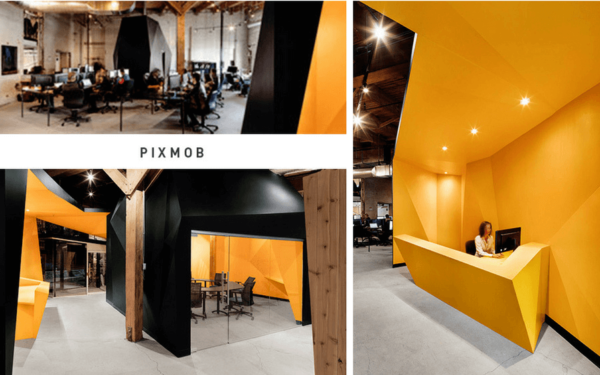 For Pixmob, it was all about connecting and bringing people together at various-sized events, by a means of using technology – which commonly separates us – to unify! Each of these companies has had a high degree of success in their respective industries, however, each differs in their starting point and the journey that brought them to their success. OatBox was actually Marc-Antoine’s second business venture. He was able to use the experience and the funds her had accumulated from his previous venture Golf Avenue (still in operation) to fund and launch OatBox. He explained that though establishing the process of automating sales and shipping was a huge obstacle in the launch of Golf Avenue, the skills he acquired from that venture allowed him to hit the ground running in setting up OatBox’s automation. He expressed being most proud of their automation system which has allowed to control the production of their morning cereals. Chic Marie’s story is a bit different, the idea came to her as she was working as a lawyer, and found that she spent a large portion of her budget on her wardrobe. In order to save some money, she looked into different clothing swap programs for professional women but found nothing that met her needs. Hence was born the idea for Chic Marie. In order to fund the idea, Marie-Philip and her team entered and won various business competitions, earning them 50k in seed funding, and the company has absolutely taken off from there. If you’ve ever tried to launch your own business, you know that it’s a challenging endeavour. When asked what their biggest challenges currently are and what challenges they expect to face in the future, each panelist explained that every day provides a new and interesting challenge. They explained that running a company is an organic process that needs constant care and vigilance in order to continually move forward. For PixMob the main challenge is striving to stay ahead of the fast moving experiential event industry. For all panelists, every day presents the challenge to maintain momentum while building towards the future. Speaking of the future, Marie-Philip explained that she hopes to use the momentum she has built to raise money for her next big challenge: breaking into the American market. Similarly, OatBox is gearing up for entry into the retail market while maintaining their healthy and innovative model. As for PixMob, they have some pretty exciting partnerships in the pipeline, but you will have to stay tuned for future announcements on this subject. 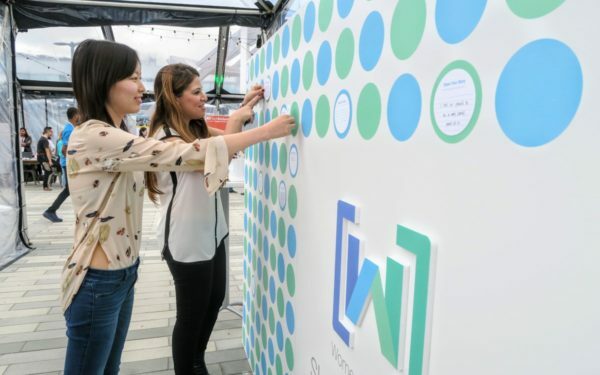 Technology is occupying an ever growing portion of our lives, so it’s natural that companies find themselves needing to adapt their business strategies to be compatible with the Millennial-driven advances in technology. The panelists were asked what role technology played in their business and whether or not the need to cater to Millennials has changed the way they did business. As expected, all 3 panelists expressed that technology played a central role in their business model. What was interesting however, is how each company saw their relationship with Millennials and technology. To PixMob, Millennials represent an interesting paradigm. Simon St-Germain explained that though Millennials want experiences that make them feel connected to one another, their addiction to their phones and social media actually does more to isolate them than actually connect them in the way they say they want to connect. This creates an interesting challenge for his company as they must find new ways to innovate that will captivate this demographic in new and innovative ways. 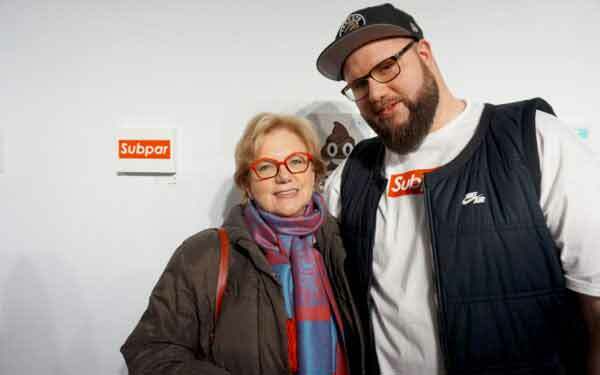 Contrarily, Marie-Philip expressed that the Millennials “modus operandi” fits her business model perfectly. Citing services like Car to Go, Netflix and Bixi, Marie-Philip explained that she has noticed a trend that places less importance on ownership for this Millennial generation. She attributes part of her businesses success to her ability to provide women with the thrill of regularly receiving new outfits they do not have to worry about committing to. “Start early and use all of the resources around you”. Go check out the new EcoSport® – Ford’s latest Fun, Capable and Connected compact SUV, and stay tuned for updates on these dynamic entrepreneurs.